It’s true. I inherited the trait and I NEVER EVER LET GO FIRST. The human puzzle pieces fitting nicely together in a cushy seal of tender connection and protection. I love it. Born 6 weeks prematurely back in 1968 at only 3. 5 pounds – by emergency C-section to the bravest woman on the planet, I wonder if I crave touch so much because my very life in the very beginning depended on it. 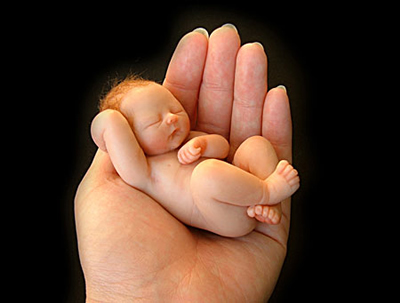 My Dad said he could fit all of me ‘the whole works’ in the palm of his hand when I was minutes to hours to days and weeks old. Which brings me to this post, built a little like Mariah and dreaming a lot of being a soul-oozing, body groovin’ singing diva like my girl, I love her 2008 release, Touch My Body. The lyrics are a little risqué, so muscle up or scroll down. Either way, you get the drift. This girl wants to be touched. I am sure not all preemies are like this but I wonder if, it has something to do with it. Anyway, you might wonder why a hug-lovin’ former dancer who teaches yoga has trouble leaving her mat to touch her students – in love to adjust and excavate proper alignment in the beautiful bodies before me. Because Mariah gets me moving, I added her to my playlist for training runs. I am now regularly leaving the security of my mat to touch, whisper to, and encourage my students one on one even in the group as the greats (known and unknown) I have had the privilege of practicing with do so elegantly. I don’t have that finesse yet, but I am gaining confidence to Touch Your Body, in the most non-intrusive but intentionally helpful way! There is something so satisfying about the split second connection when a student releases a muscle and maybe a memory or postural bad habit right with me. And in that moment, we are of service together – moving toward vitality. But, rest assured, I am also respectful of boundaries and hone my tuning fork to know, when not to touch too. This is beautiful too! Everyone in their own downward facing dog. Swimming in personal vitality untouched, yet touching. And so, thanks Mariah for the inspiration! I bet there’s a lot of folk who would Touch Your Body. If you practice yoga, do like a touchy teacher? I love a touchy teacher and am very touch oriented. Weirdly, yes, I was a preemie! Somehow I knew we had this in common! Glad to know you like the touch, my friend. LOVE! Yes, I love a touchy teacher, isn’t that part of the teacher’s role, adjusting, guiding and all that good stuff and I am not a preemie…..love your blog! Adjusting, guiding, led by the light. Bliss. Thanks for reading. I am not a touchy person. A friend used to joke that I have a very large panic bubble, and it’s true. If a person gets too close to me I do get a little nervous, and it makes no real difference if the person is someone I know well or have just met. I know that can be difficult for a touch oriented person to comprehend. It really isn’t personal, but it’s like I can feel another person’s energy buffeting against me, interfering with my own vibrations. Everything can get very mixed up and jangled when there are too many people too close to me (I hate shopping at Christmas). All that to say I have very mixed feeling about being adjusted in class. On the one hand, my yoga teacher has wonderful soothing hands that are like magic and can help me find my edge or a place of softness. On the other hand, gah! Intruder! I must be doing it wrong if she is adjusting me! So, yeah, people are weird (or at least I am). I love this perspective! Good to know how it feels to a ‘non-touchy’ person. You still affirm that touch can be healing.